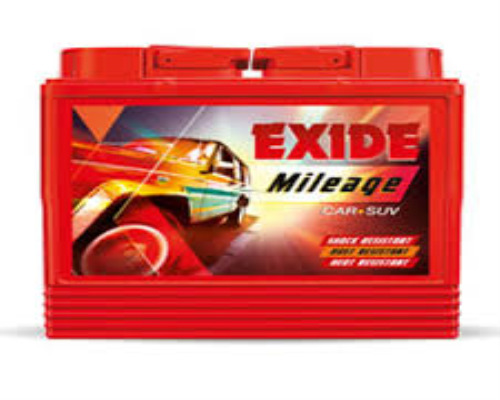 EXIDE FLCO-LC35L(MF), an exclusive range of car batteries, is completely maintenance free and factory charged, thus provides you the freedom to move-on soon after installation. The range is designed to provide power-packed performance at minimum price. Made tough for Indian conditions - a special Hybrid Alloy System ensures that the battery can withstand the Indian environment and high under-bonnet temperatures. Instant start every time - good cranking power and endurance with rugged grid profile. Fully tested and guaranteed to perform even in the most demanding start-stop traffic conditions. Brightest light for darkest nights - for driving safely in the dark, without any worries of battery failure. Improved cycle life: Double-clad separation in the form of a unique rib-free separator profile, reinforced with texturized glass mat, provides surface support to the active material, thereby improving cycle life and resistance to bumps and vibration.